Sustainability is the maintenance of a harmonious balance within a system over a period of time. In light of innovative green technologies, the concept can now include the ability to maintain an ecosystem’s ecological processes, biodiversity, and productivity. 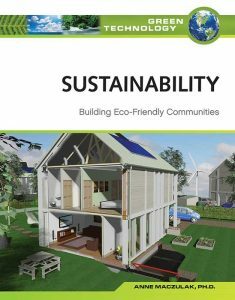 Sustainability: Building Eco-Friendly Communities explores the ways in which sustainability has influenced environmental science, how communities have begun to make changes in order to live in a sustainable way, and the impact of new materials on the conservation of natural resources. Sidebars, figures, and case studies enhance fundamental concepts and examine urgent issues related to the future of the environment.